A decade ago, if you wanted to book a flight you had to go down to your local high street and into a travel agents, tell them for preferred departure airport, where you wanted to go and when, and they would come back with a price for a flight. There wasn’t much competition and you pretty much had to choose whether to accept that price or not travel. A few years later, you could miss out the local travel agent and go online. You had the option of going to a particular airline’s website, to a travel website or to undertake a search on Google and then go in and out of websites until you found one offering the flight you were after at a price you were willing to pay. Thankfully the whole process has just got a lot easier thanks to Google Flights. In this article we look at what Google Flights is and what the benefits of it are for travellers. Google is a leader in search and now the experts at Google have designed a simple to use platform for searching flights which can be accessed at http://www.google.com/flights/. Google Flights allows you to explore air travel options and plan your trip with just a couple of clicks of the mouse. All you have to do is select your departure airport and your destination airport from the drop down lists. Google will then plot your journey on the on-screen map. Below this you can enter your preferred departure date and return date for a round trip. There are also options for selecting the duration of your flight and setting a budget. Google will then automatically display a list of results that match your search criteria – and you don’t even have to press a ‘search’ button as it does it all as soon as you alter the drop down fields. The results are easy to see at a glance and contain the departure and arrival times, along with the duration of the flight. It also shows the airline, along with their logo, the route and the price. Thanks to Google’s search capabilities, you can even filter your results by airline, connections and number of stops to tailor the flight search to your preferences. Once you’re happy with a flight’s details, simply click the ‘book’ button and you’ll be taken to the site where you can make the booking – all the information you’ve just selected will be taken with you so you don’t need to duplicate the search. The main benefit of Google Flights is that it saves you time. 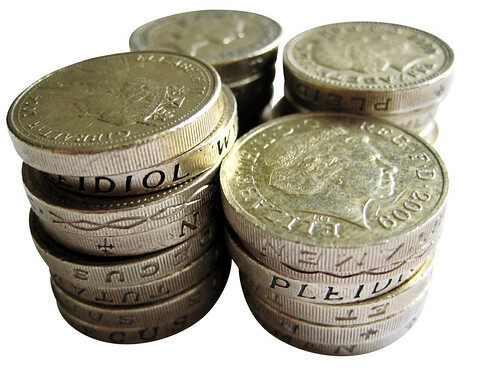 You don’t have to go to a range of individual sites to find and compare prices. You don’t even need to go to a comparison site and risk missing out on deals that aren’t included. 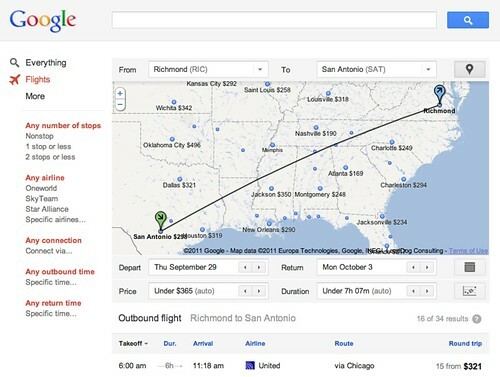 Google searches across everything on the internet to find you flights matching your criteria. The information is then taken with you when you go to the operator’s site to book the flight. The other main advantage is that Google Flights will save you money. As Google searches every flight available online, the lowest price it displays is the lowest price there is available. There’s no wondering if you could have got the flight cheaper. Google Flights can save you money. Currently Google Flights is limited to a certain number of departure airports in the US and Canada, with only a few destinations included but over the next couple of years, Google expect to be able to incorporate all airports and destinations across the globe. It will then be easier than ever to find and book flights. I’m a travel enthusiast, yet this is the first I’ve heard of Google.com/flights. I think the stress of flying begins with booking, so this should help things from the start. Thanks! My site’s most popular article is about flying regulations (the e cigarette conundrum), so I hope to write more about my travel experiences. Travelbusy is an inspiration. It seems that they have added all major airports in Europe, so finally it’s worthy a closer look. I really like the simplicity and calendar/map view are my favourite elements!